Situated on the border of Maryland and the District of Columbia, Friendship Heights is a neighborhood that has it all. It is a hidden gem of the DMV and locals swear by its location, amenities and atmosphere. Those who live and work downtown are missing out- Friendship Heights has plenty to offer and is a location that can no longer be overlooked! Updated from August, 2015 version. 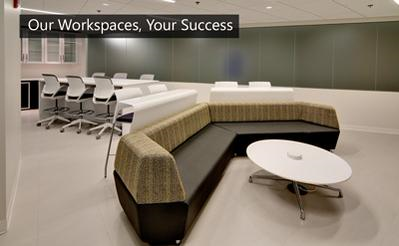 The way we do business is ever-changing; and whether you’re expanding, downsizing, or just starting, the type of office space in which you choose to work is a major decision for your company. While the perks of a serviced, shared office space are numerous, below are the top four most appealing incentives for those considering shared workspaces. One of the factors driving clients to executive suites and business centers over traditional leases is the ability to cut overhead costs. While traditional leases require a company supply their own Internet and cable access packages, pay their own utilities, and rent other office equipment, business centers and executive suites are designed to free you from high fixed costs that quickly add up. 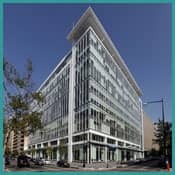 In a city as large and fast paced as Washington, DC it may seem daunting to start the search for affordable office space, especially with a modest budget. What may seem like an "affordable" deal in the beginning could later prove to be more costly due to add-ons, extra fees, and long-term leases. However, it is possible to find affordable office space in DC—you just have to know how to do it. For businesses looking for office space in the Washington, DC area, executive suites and virtual office services offer several advantages over leasing traditional office space. Executive suites make leasing office space simple - allowing you to focus on what matters most to you - growing your business!